WELCOME to our TCS Family! We look forward to making this your best year yet at TCS! Your experience here will be what you make of it, so do not hesitate to take advantage of the many services and facilities available to help you reach your full potential. Get involved, participate, and take part in all the student activities. Let us grow together in your academic journey here at TCS! 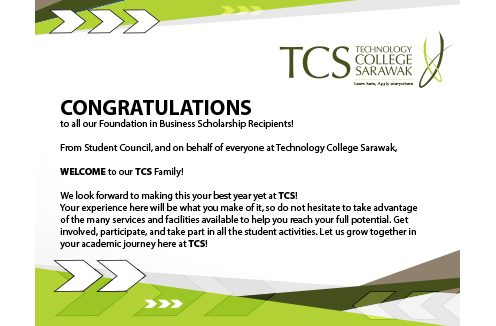 Once again, CONGRATULATIONS and WELCOME to TCS!